Martyn Cobourne is Professor of Orthodontics at King’s College London and Hon Consultant in Orthodontics at Guy’s and St Thomas’ NHS Foundation Trust. He graduated as a dental surgeon from King’s College School of Medicine and Dentistry in 1990. After a series of junior hospital appointments in maxillofacial surgery and pediatric dentistry, he obtained a Fellowship in Dental Surgery from the Royal College of Surgeons of England in 1994. A three-year period of specialty training in orthodontics at the King’s Dental Institute led to the award of Membership in Orthodontics from the Royal College of Surgeons of England and entry onto the Specialist List in Orthodontics in 1997. He was then awarded a Clinical Training Fellowship from the Medical Research Council in 1998, which allowed a dedicated period of research to take place in Paul Sharpe’s laboratory at the United Medical and Dental Schools, Guy’s Dental Hospital, working in the field of craniofacial developmental biology. This work culminated in a PhD from the University of London in 2002. A further period of higher clinical training at Guy’s Hospital led to an Intercollegiate Specialty Fellowship in Orthodontics and accreditation as a Consultant Orthodontist in 2004. Martyn was appointed as a Senior Lecturer and Honorary Consultant in Orthodontics at the King’s College London in 2004 and awarded a personal chair in orthodontics in 2011. Martyn is Orthodontic Training Programme Director at Guy’s and St Thomas’ and is an MSc examiner at King’s College London. 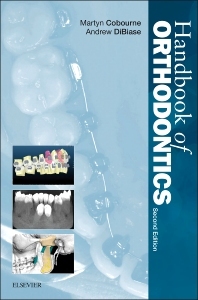 He is Director of Research at the British Orthodontic Society and Editor-in-Chief of the Journal of Orthodontics. He is registered on the Specialist Orthodontic List of the General Dental Council. Andrew DiBiase is a consultant orthodontist based at East Kent Hospitals University NHS Foundation Trust in Ashford and works in part-time NHS and private practice in Kent. He graduated as a dental surgeon from King’s College London School of Medicine and Dentistry in 1990. After a series of junior hospital appointments in maxillofacial surgery, oral pathology, paediatric dentistry and periodontology he obtained a Fellowship in Dental Surgery from the Royal College of Surgeons of England in 1994. A three-year period of specialty training in orthodontics at the Royal London Hospital led to a Membership in Orthodontics from the Royal College of Surgeons of England and entry onto the Specialist List in Orthodontics in 1997. He carried out his higher orthodontic training in Sheffield and Leicester and was awarded the Intercollegiate Specialty Fellowship in Orthodontics in 2000, being appointed Consultant Orthodontist at the Kent and Canterbury Hospital shortly after. Andrew is involved in the postgraduate training programmes and is an MSc examiner at the Royal London and Guy’s Dental Schools. He is active in the British Orthodontic Society and he is registered on the Specialist Orthodontic List of the General Dental Council. He is a provisional member of the Angle Society of Europe.